1. 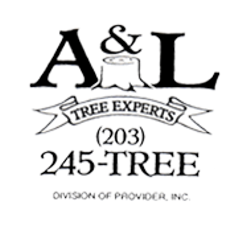 Is A & L Tree Experts an Insured company? Yes, we have Liability and Workers Compensation coverage. Simply call the office (203) 245-TREE and we can supply you with a Certificate of Insurance. 2. How soon can you come look at my job? Call us at (203) 245-TREE and you will almost always reach our office manager, Jen. She will be happy to book an estimate within days of your call, sometimes even the same day! 3. How much will I be charged for your estimate visit? 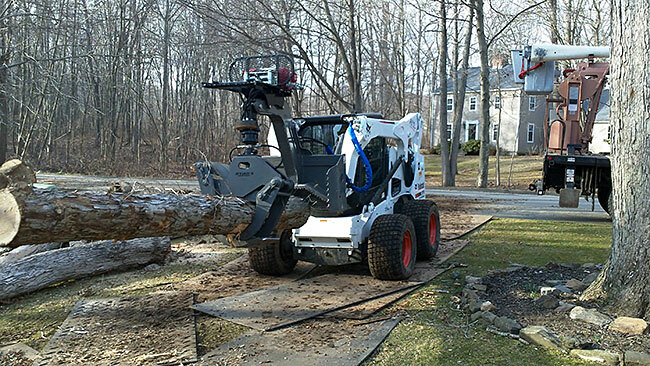 All of A & L Tree Experts estimates are free of charge. You are almost always given the estimate at the time of the appointment as well. 4. What can I do with an empty stump hole after A & L Tree Experts grinds it? When the hole is empty topsoil can be used to fill it slightly above grade and seeded to become more lawn. You could also plant small plants, ground cover, and sometimes even small shrubs. Usually, with larger stumps, you won’t be able to plant a tree in the same spot, but you would be able to in an area between the roots to the side.